Shiver: Poltergeist is rated 4.1 out of 5 by 75. Rated 5 out of 5 by Olympias from Love It! Bought the non-collectors edition based on reviews and so glad I did. This game delivers with story line and not so obvious clues, it makes you think. I recommend this game! 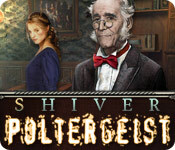 Rated 5 out of 5 by SparkleGlow100 from MURDER-MYSTERY, GHOST-STORY I was very wrapped up in this game. I bought the CE since some reviewers mentioned that you don’t get the conclusion of the story otherwise. However, if you read the letters carefully and know where you are when you read them, you get to make a good guess at who it was; it is suggested to you, but you could miss it if you miss one particular letter or skimp over its contents. If you do buy the CE, the bonus is some more fun, is as good as the main game and the true culprit is revealed there at the end, if you want to know for certain. I’m not a fan of the earlier Shiver series in general because of the overwhelming gray (although I did play Lily’s Requiem, which made me take a look at this one). This game DOES have color though in addition to the gray being there, and also nice detail with it being set in a manor house. Lots of rooms! The storyline is very clever and keeps you guessing! Very atmospheric and good voiceover! Rated 5 out of 5 by tigerleema from Creepy but I love it! Just like Vanishing Hitchhiker, I love how I have many rooms to walk around and explore at the beginning! The colors and art is amazing, I totally fall in love with its colors and a big environment. And it is indeed creepy at times (statue that bleeds or cry!) , but I think it's still enjoyable, and I like how I wasn't being "told" by NPC to do what next, but I have freedom in walking around in the mansion and checking things out and what happened to the ghost and the family who lived there. Rated 5 out of 5 by sfr8rfan from Scary Good I loved this game. It was technically superior to every other game I've played. I couldn't stop playing until I finished. My family thought I'd abandoned them. Oops. Obviously it was tons of fun. The VOs were exceptional as were the cut scenes. There were many of them and this contributed to this game being ADVENTURE first, HOG second. There were plenty of HOGs and they were well executed, and meaningful in terms of what was added to the inventory. But, there weren't HOS every other minute and I like it like that. This is the perfect ratio of adventure to HOG. There were several puzzles but I didn't find them enormously challenging. They were all fun and unlike some other games, the puzzles weren't thrown in just to make the game longer. Although there was a bit of the back and forth, the moves didn't seem wasted. I achieved something, learned something, added something to the inventory and had to go back to use it. Fun Factor: As I said above, this was VERY fun. Visual/Sound Quality: Again, as I said above, the VOs were great. The visual quality was excellent. It was a dark and moody adventure and the lighting was slightly muted to give that feel. (It also rained in the story the whole time and that was great). The Music is the BEST PAIRING with a game I have ever heard. It never got in the way and was never boring. I think the music contributed to the game in a way I've never experienced. It was moving. The challenge was there, but I really took my time with this and enjoyed the great audio-visuals and the game play so I was careful, thoughtful and rarely got stuck. Here's a couple negatives: In part one we are introduced to the two main characters. One is the unseen protagonist and the other is an antagonist (I Think). After the first part of the game we never see the antagonist again. I think he could have played a pivotal, interactive role, highlighting the antagonism but it just didn't happen. The other negative is the abrupt, inconclusive ending. Now, this game is either begging for a sequel OR it's wise to buy the CE, not the SE as I did because of the "Shiver" bundle sale from BFG. These negatives DO NOT diminish the value, enjoyment or quality of this game. I'm sorry I can't be more specific about what I mean. I promise, you will not be disappointed when you play this. You will know that you've experienced something very special. In fact, even with the negatives, this is my new favorite game! Rated 5 out of 5 by neilskinut from long fun game This is a really fun game to play. It is not hard at all and if you need help the hint button works great. Fast reload time. Does not have voice over and you do need to go all over the place to find clues but the flow is good. It is a long game and just a fun one to play. Rated 5 out of 5 by macsuco from Best game for ever This is the best game I have played. 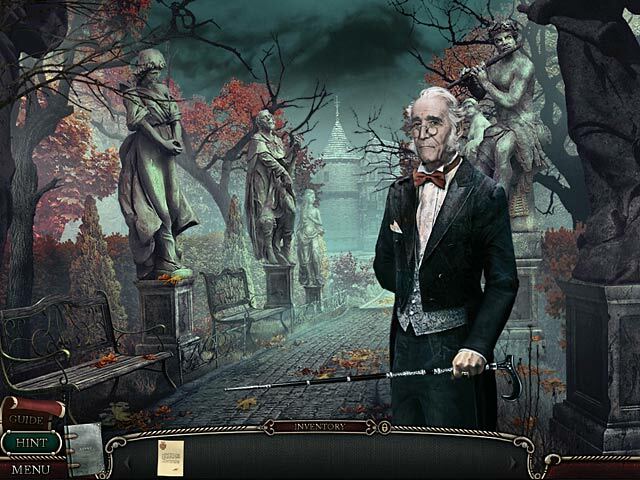 For the one who interested in the paranormal activities, this is the must have game. Rated 5 out of 5 by JustTheFacts from Stand Out Thriller GAME COMPLETED TWICE How quickly we forget. I last played this game a year ago, and had forgotten all the best bits. This really is a spectacular HO Adventure. Notice I didn’t say Puzzle, because there are precisely 4 (easy) puzzles in the whole game. 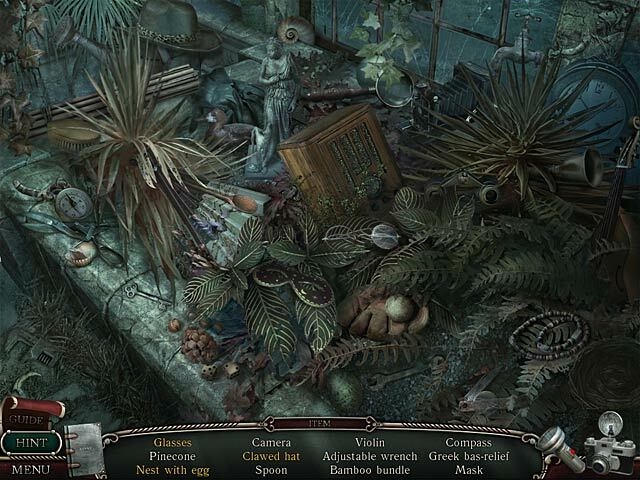 But it is certainly as good as any HOPA out there, and for “immersive gameplay” it leaves most behind. Personally, I was happy to scratch my head over where to get a shovel rather than pushing buttons aimlessly trying to make them all stay down. Leaving the sound on is a must for this one. Between the sudden crash of thunder, and the abrupt starts and finishes to short musical pieces, to the hollow ringing of your shoes on the pavement, sound really makes this the true thriller it is. It is also a mature, professional and well crafted game. First class production values all round. Top quality graphics, and a very involving story. You inherit an estate in England, complete with creepy butler and ghost, and from the start it’s clear you’re not welcome. 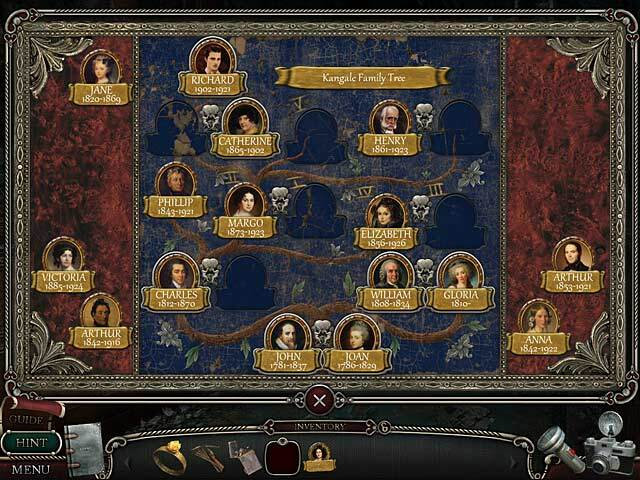 The manor and its grounds are huge, with hidden rooms and royal ancestry all wrapped up in a love story gone wrong. Slowly, you piece together what has gone before and work to appeasing your poltergeist. I loved playing this game, but I must point out one gripe. The ending is designed to hook you for the CE. What is the point? We’ve bought the SE, we’re stuck with it. Those last 30 seconds just frustrate. And so I am left with just one thought – Did the butler do it? I’ll never know, I bought the SE. Rated 5 out of 5 by Billybadass4018 from Wonderfully challenging game. I played this game on expert and was satisfied with the difficulty. I liked the storyline even though I've seen the haunted house theme a few times in other games. The mystery kept me interested and wanting more. I thought the commentary was rather humorous at times. The visuals could have been better. The objects in the HOS were sometimes hard to see. I only bought the SE so I didn't get to see that extra level which is disappointing but I enjoyed the game. Rated 5 out of 5 by j9_brenna from Creep Fest! I enjoyed this game very much. You are going to an old, run-down mansion that you have inherited. Problem is, it comes with a ghost, a rather nasty one with pyromania. I had a hard time getting started, not sure if it was me or if it was the game. In any case, once I got going it became very interesting and enjoyable. The puzzles are not very hard and I wish they had been. There are many pages of a diary and letters to be find, which fill in the background of the story very nicely. The hint button will tell you where you need to go next if you get stuck. The HO scenes were a little murky and I did use the hint button. Some things really melted into the background. A big plus for me was the music. Decidedly creepy and very appropriate for this game. Also, I am not sure why, but rain adds to the creepiness wonderfully and there was rain in this game. There are lots of places to go, much to explore, many rooms to find and still no butler showing up to help you. The few times he did make an appearance, it was more of a hindrance. The first Shiver game, Vanishing Hitchhiker, made me jump a few times; this one gave me the full-on willies now and then. It was wonderful!